THE REACTIONARIES: MARTIN TAMBUROVICH, D. BOON, MIKE WATT AND GEORGE HURLEY. 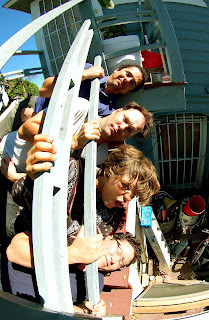 A BLOW BY BLOW BLOG ON THE MAKING OF THE RECORD DEDICATED TO SAN PEDRO'S FIRST PUNK BAND. NOTE: some of the links and band information are outdated. 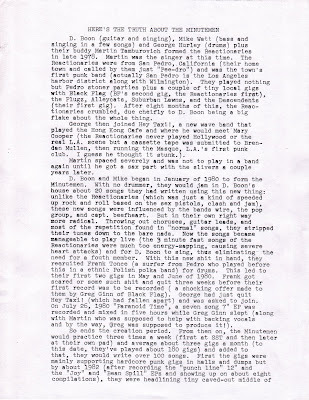 all of the info was correct during the making of this record in 2009.
welcome to the blog for the reactionaries 1979 record on water under the bridge records. what is water under the bridge records you ask? 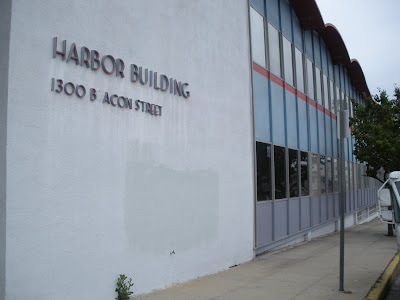 it's a new san pedro based record label run by craig ibarra and myself (bob archer). how did it start you ask? easy, craig called me up with an idea and i said, "OK" to it. see, craig's an idea kind of guy. you might know him from such projects as s.a.d. cassettes, the punchline, the rise and the fall fanzine, rig, etc. dude's even writing a book about the forgotten history of san pedro punk. so he's a good guy to have ask you to be a part of something he's putting together. 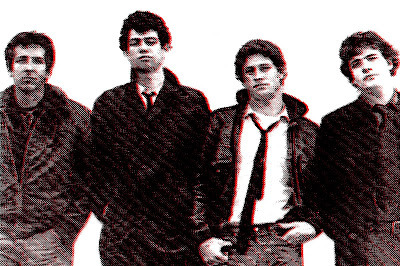 the reactionaries circa 1979 - martin tamburovich, mike watt, george hurley and d. boon. Subject: the reactionaries possible 7-inch. I don't think you could get all ten reactionaries songs on one side of a seven inch, craig. I'd be into it. I wrote all the music and the words to all but two - pretty lame but they were some of my first songs ever. 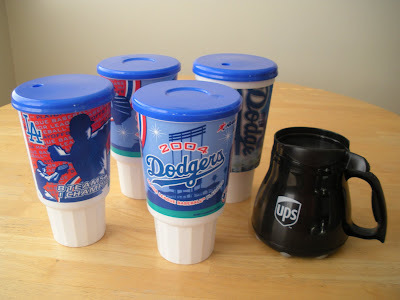 after pondering if kid kevin would be up for doing the recording and how much it would cost, craig came up with an idea. craig talked with kid kevin and rawl morales who have their own pedro based label called 45 rpm records and struck a deal with them. the deal was if they recorded the record for free that we would make it a water under the bridge / 45 rpm joint release and we would give them 100 of the first 500 records pressed. both sides were happy with the deal. kid kevin has an 8-track analog home recording setup and recently recorded his band killer dreamer's latest record 1,000 years of servitude (razorcake/45 rpm) in his bedroom. kid came to the realization that it would be unfair for his girlfriend and roommate to deal with 38 different musicians coming in and out of his bedroom to record so he decided to take it to the basement. 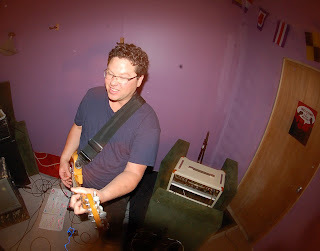 not long after his decision, the basement was transformed into a two room studio complete with window and control room in less than two months, thanks to bradley williams and friends. cali mucho studio was born. 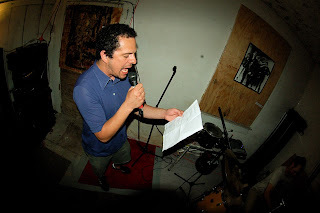 we couldn't believe it, mike watt eventually came through with the lyrics to all 10 songs. he said he had to listen to each song a million times to remember and figure them out. big thanks to watt for coming through. we couldn't have done this record without the words. victor gastelum mentioned to craig that he should ask joe baiza (saccharine trust) if he was up for doing the cover art. 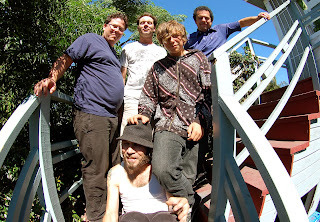 craig ran it past mike watt and watt said that he'd be honored to have baiza do it. 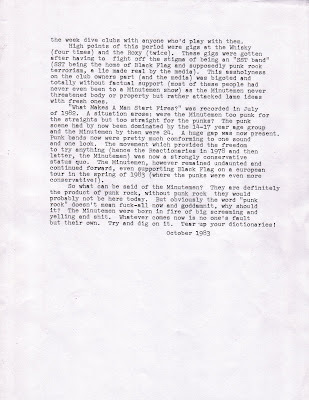 baiza also did the minutemen buzz or howl under the influence of heat (sst records) cover art among many others. baiza agreed and he needed a title so craig came up with 1979. an easy pick since it was recorded in 1979. Subject: WE WANT YOU TO PLAY ON OUR RECORD!!! 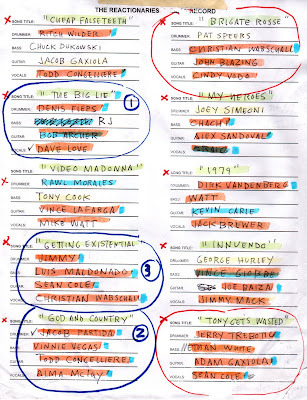 MORE USELESS INFO: Some of the people (Erik Korte, Lina Sedillo-Litonjua, Rick Pugliese and Pat Spears) from the list above could not participate. RJ replaced Erik Korte on bass because Erik now lives in Virginia and we couldn't work it out. 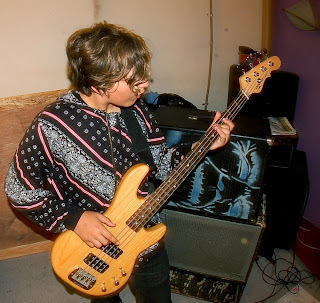 Vinnie Vegas took Lina Sedillo's spot on bass. We were originally gonna pair-up (guitarists) Kevin "Kid Kevin" Carle and Jacob Gaxiola and also Todd Congelliere and Sean Cole to make room for more guitarists but since Rick Pugliese could not participate and Jessica Feeney could not be reached (her MySpace page was not working correctly), we decided to split them up. Pat Spears could not find time with his busy schedule and was replaced by Casey "Chachi" Ferrara. 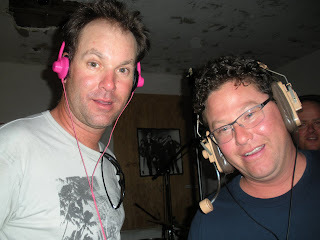 Jack Brewer also asked if he could do dueling vocals with Freda Rente which we agreed on. we basically left it up to the various groups to get together and learn the songs. vince giobbe offered his lockout at koos (harbor building) rehearsal studio in pedro with a full backline to any of the groups for free. this was very helpful indeed. 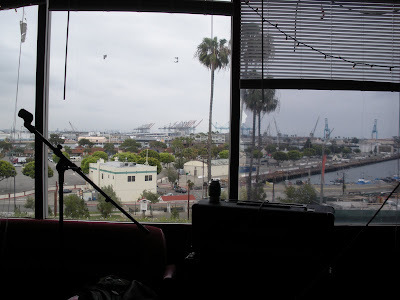 the practice room has a nice view of the harbor, really though. 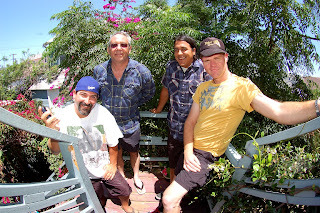 the tenth and final recording session took place on july 26, 2009 at cali mucho in pedro. playing on "my heroes" was matt army doing the intro, craig and jessica doing the singing, joey playing drums, philo playing guitar and chachi playing bass. courtyard dwellers included: cheryl groff, laila reyyes, cari, rawl morales, paloma banuelos, kolen kemph, nicole scott, jacob gaxiola and kid kevin doing the engineering. 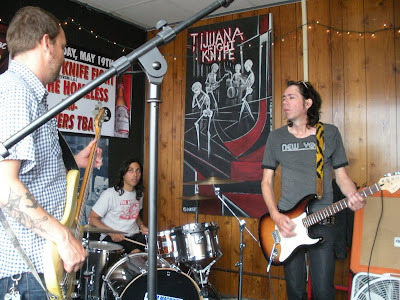 the ninth recording session took place on july 19, 2009 at cali mucho in pedro. playing on "1979" was jack and freda doing the singing, dirk playing drums, kevin playing guitar and watt playing bass. courtyard dwellers included: cheryl groff, joe grzeskowiak, vince lafarga, rawl morales and paloma banuelos. also present were craig ibarra, bob archer, vince giobbe and kid kevin and jacob gaxiola doing the engineering. 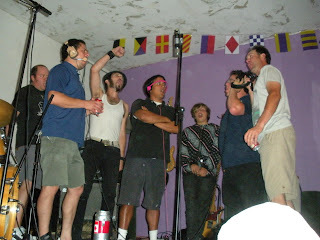 the eighth recording session took place on (music) july 16 and (singing) july 21, 2009 at cali mucho in pedro. playing on "video madonna" was watt doing the singing, rawl playing drums, vince playing guitar and back-up singing and tony playing bass. also present were craig ibarra, vince giobbe and kid kevin doing the engineering. cheryl, kevin, vince and mr. giobbe doing back-up's. one of many cheat sheets floating around calimucho. TONY GETS WASTED IN PEDRO (clockwise from top left): adam gaxiola, jerry trebotic, sean cole, ethan white and aaron white. 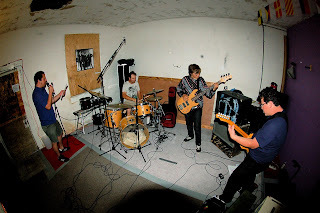 the seventh recording session took place on july 12, 2009 at cali mucho in pedro. playing on "tony gets wasted in pedro" was sean doing the singing, jerry playing drums and back-up singing, adam playing guitar and back-up singing and ethan playing bass and back-up singing. other back-up singing included: aaron white, raul morales, kolen kemph and jacob gaxiola. courtyard dwellers included: cheryl groff (for pics), lena orlando, nicole "lil' puppet" scott, matt army, paloma banuelos, danny partida, jacob partida and tony cook. also present were craig ibarra, vince giobbe (briefly) and kid kevin doing the engineering. 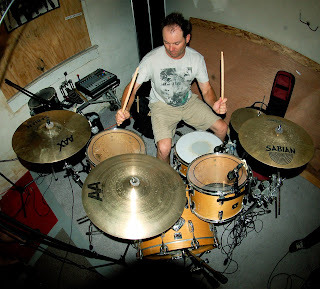 jerry plays drums in mike watt + the secondmen among others. sean played guitar and sang in f.y.p and currently plays in toys that kill and that's incredible. also check out christy twins.